I've been going through old posts deleting pictures (ones not owned by me) and came across some interesting stuff. It's funny having this blog as it follows my history as an author. I found this piece that I wrote while wrestling with the idea of self-publishing. This was from about 2 years ago, summer of 2010. I never published it, and I'm not sure why I didn't. I think it's funny to see how things have changed, although I think for some the argument is probably the same. Those switching over from the idea of traditional publishing to self-publishing or indie publishing or epublishing or whatever you want to call it, still struggle with the decision. I'm definitely glad I jumped in and took the risk two years ago. I'll have been published 2 years on November 1st and I couldn't be happier. I've got 4 books out and a collection of short stories and I've got tons of projects to keep me busy for years. People are buying and reading my books, and I promise I made WAY more than the $50 to take my husband out to a nice dinner. He LOVES my second job!!! Funny, I think the pros and cons are still very much the same. Can I just say, it's awesome that authors have so many more choices these days. Okay, so I've made a very educated decision. I've thought this over long and hard and done some research and I am going to dive into the eBook pool. Now there are, of course, pros and cons to my decision. I realize that it may not even be a popular decision, though my research seems to keep coming up otherwise. Why am I deciding to go ahead with this? Well, I have a book that has met it's maker in terms of being submitted. It was rejected many many times (probably more than 80). So you may be thinking, why waste time on this book, it surely must be crap. Maybe I'm the eternal optimist, but despite it's rejections, they were good rejections. It was requested, in partial and in full, many times. The book was submitted during 2008-2009 and some responses I received indicated that they liked the book, but due to the market and poor economy, they couldn't take on new authors. I have hope for this book. It's a good story. Now, I'm not just jumping out there blind. This book has been read by quite a few people, including writers, some of which will be checking it out after a zillionth round of rewriting and revising. I'm going to do everything I can to provide a good, quality reading experience. In addition to having a good story, there were other reasons that factored into this decision. I also don't intend to give up on getting my other book published in a traditional fashion. I plan on continuing the search for an agent for that book. I'll start with the cons, so you can see that I'm not crazy and did have a rational thought process. - I will have no printed books available (and am not willing to invest the money for them, despite their availability) so my market will strictly be limited to people who use Kindle or one of its apps for the computer. - Marketing the book will be all on me. I will have no support in terms of agent and publisher. - It's possible that no one will buy the book and to all my friends online I will look like a complete and utter failure. - I won't be able to have cool book-signing parties. - A book that is pretty much dead will be given some life. - I have a network of writers and friends and fans (maybe) out there in cyberspace that may just take a chance on an unpublished writer and give my book a read. - I may develop a fan base for future works that may be published traditionally. - It's possible for most people to download Kindle for free to their iTouch, iPhone, laptops, desktops (both PC and Mac). This may allow more people to purchase the book in the comfort of their own home. - I can offer the book at a very low price, encouraging the wider market to purchase it with little risk (like $.99 or $1.99). 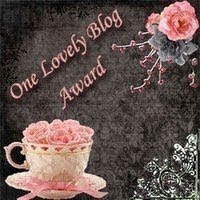 - I have been participating in Friday Flash, posting short stories on this blog, and will continue to do so. Those that have enjoyed my writing here may be more likely to purchase a book. - It costs absolutely nothing (except maybe paying someone to make a pretty book cover) to post the book on Amazon. - Across the web everyone is talking about how the eBook is going to be the next big thing and traditional publishing will go the way of the record and laser disc. Now would be a good time to try it out. - Maybe I could make 50 bucks and take my husband out for a nice dinner. Or a medium dinner and a movie. He's not picky. - I pretty much have nothing to lose. 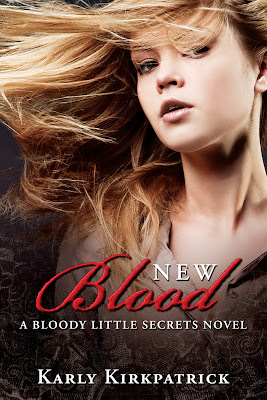 The sequel to Bloody Little Secrets has a title AND a cover! I decided to use a different cover model and this cover represents Callie, one of Drake's good friends. Thanks to Robin Ludwig at Robin Ludwig Designs, Inc. for the lovely design that goes so well with Bloody Little Secrets! I have the book details worked out and will start working on it as soon as After Dawn, Book 3 of the Into the Shadows Trilogy, is finished. I'm aiming to finish that at the end of August. I'm hoping to have After Dawn for you in October and New Blood around the New Year-ish. We'll have to see how the fingers fly (on the keyboard). I'm off to California next week for a bit of vacation and a wedding before my writing marathoning starts, but hopefully sometime in August I'll have a blurb for you for New Blood as well. The Green is On Tour!!! Many thanks to www.Charismamedianetwork.com for organizing this fabulous tour for The Green! If you'd like to participate in the tour and possibly win yourself a copy, be sure to follow the link below to Charisma Media Network's page for The Green's tour! It will give you links to all the stops on the tour, let you know where the giveaways will be AND you can get nifty buttons for your blogs as well, just like the ones I have on my page! Hope you're a big winner! Dream Smashers celebrated her first birthday all alone in March. I'm a horrible book parent and didn't even throw her a party. To make up for it, I gave her a facelift. I hope she likes it. And I hope her readers like it, too. Take a look. Isn't she pretty? Dream Smashers has needed a new cover for a while now. It's an important story, but often gets overlooked. The original cover, which I love, wasn't sitting well with the readers. It even was nominated for a most ugly cover list over on Goodreads. The second cover was an experiment, something I whipped up myself, and not very professional. I believe this new cover captures the emotion of the story, but also has appeal for the readers. I adore it! Letting go is hard to do, but sometimes, it's all you can do. Sixteen-year-old Autumn is a human heartache. Everywhere she turns people are stomping on her hopes and dreams. Her mom's a tweaker. She's lived with her chain-smoking grandmother for as long as she can remember. Even her best friend has issues. Autumn seems to be the only responsible person she knows and she's sick of putting up with it all. When she meets Evan, a hot guy without a worry in the world, she can only wonder if he's for real or just another Dream Smasher. A girl who no longer wants to care and a boy who cares enough for the both of them. Dream Smashers is a love story, but most of all, it's about letting go. Thanks to my good friend, Megg Jensen, for inspiring me to get 'er done, and Rashelle Workman who referred Megg who then referred me to the cover artisan Steven Novak. Go check him out. He's awesome. Dream Smashers is available on Amazon Kindle and wherever else eBooks are sold. It may take a day or two for the new version to be available. So tell me, do you like it?